The Mayor of London has won a court order to evict a camp of protesters from Parliament Square, with the Court of Appeal upholding a decision of the High Court stating that the Mayor’s response to the protest was proportionate and not a breach of the protesters’ human rights. The protesters had gained a temporary reprieve by appealing the decision to the Court of Appeal, but that appeal has now been rejected. The BBC report that Boris Johnson, the mayor of London, said “I think it’s wonderful that as a city we can protest. But it is nauseating what they are doing to the lawn“. The protesters claimed that their eviction would represent a breach of their human rights to freedom of association and freedom of speech (see our feature). But those rights are “qualified” rights, which means they can be interfered with by the state if that interference is proportionate to the public good. The importance of Parliament Square as a location for demonstrations and the importance of the right to demonstrate each cut both ways in this case. 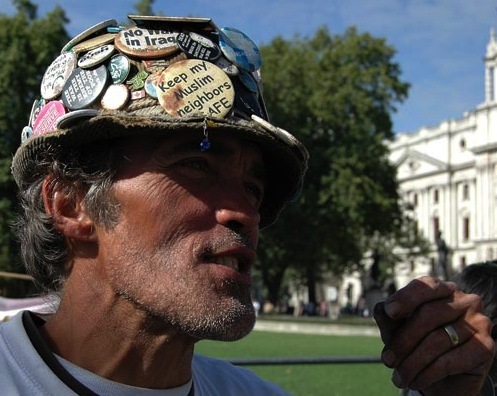 It is important that the Democracy Village members are able to express their views through their encampment on PSG, just opposite the Houses of Parliament. However, as Arden LJ rightly said, it is equally important to all the other people who wish to demonstrate on PSG that the Democracy Village is removed, in the light of the Judge’s finding, in line with the Mayor’s view, and (it should be added) the preponderance of the evidence, that the presence of the Democracy Village impedes the ability of others to demonstrate there. Additionally, there are the rights of those who simply want to walk or wander in PSG, not perhaps Convention rights, but nonetheless important rights connected with freedom and self-expression. The fact that Democracy Village have been effectively in exclusive occupation of PSG for over two months is also relevant, especially as there is no sign of the camp being struck, as the defendants have, it may be said, had some seventy days to make their point. As we posted earlier this month, during the build-up to the General Election a number of protesters erected tents and flags in Parliament Square, a green outside the Houses of Parliament. The protesters named the site “Democracy Village”. Boris Johnson, the Mayor of London, launched an action for possession against the protestors, who he claimed were trespassing on Parliament Square.